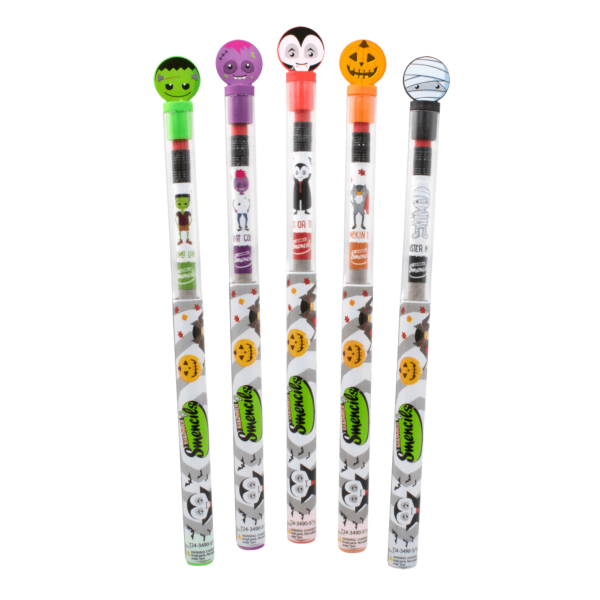 Halloween Smencils are scented pencils that are made from 100% recycled newspapers. 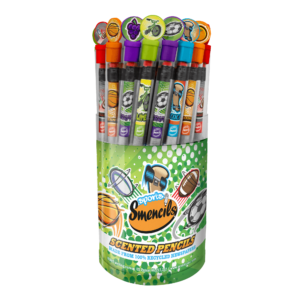 Smecils roll sheets of newspaper tightly around the #2 graphite writing cores until pencils of typical thickness are formed. Then they’re hardened – allowing them to be sharpened just like wood pencils. 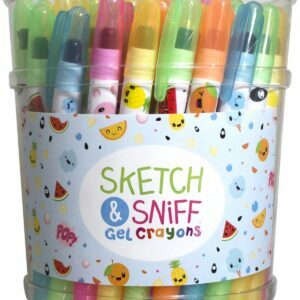 Next, Smecils soak them with our gourmet liquid scents (made by an award winning fragrance company). 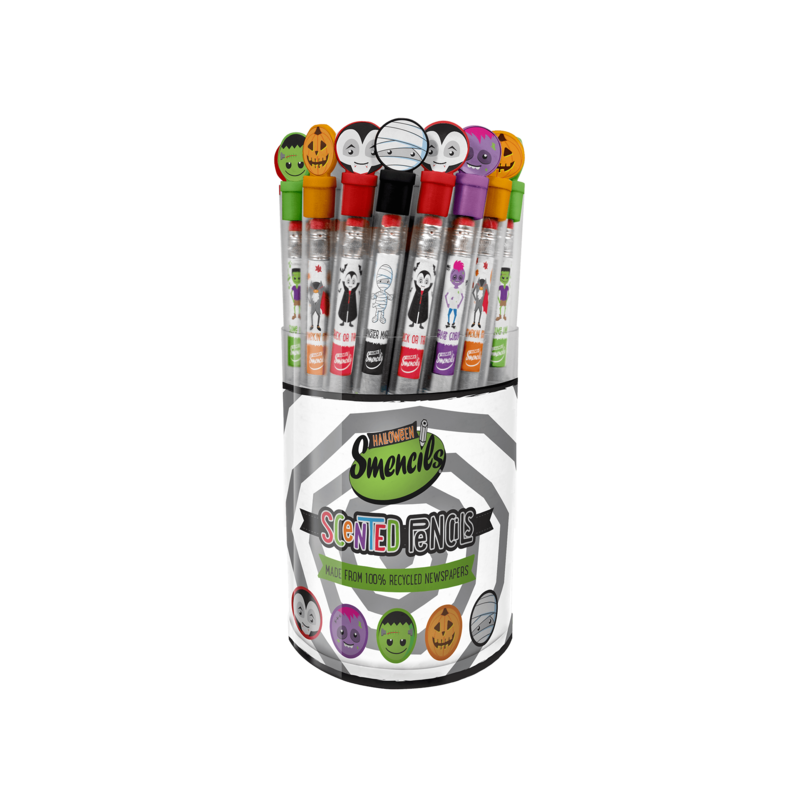 Once they’re dry, Smecils attach the erasers and apply the stickers around them that identify which scent was infused into each Smencil. Lastly, Smecils put each Smencil into its own recyclable plastic freshness tube that comes with a collectible character top cap! 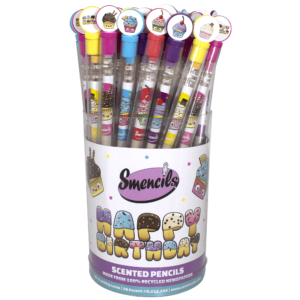 There are 50 Smencils per bucket and 10 buckets per case.